In the latest rift in Turkish-Israeli ties, Tayyip Erdogan was accused of being an "anti-Semitic bully" after the Turkish President blasted Israeli PM Benjamin Netanyahu for "daring" to attend an anti-terror rally in Paris. "I believe his shameful remarks must be repudiated by the international community, because the war against terror will only succeed if it's guided by moral clarity," Netanyahu said in a series of tweets, expressing surprise with the lack of international condemnation of Erdogan's rhetoric. 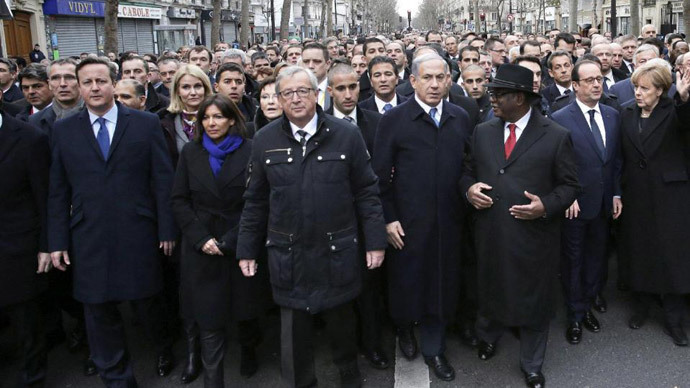 Both Netanyahu and Turkish Prime Minister Ahmet Davutoglu attended the anti-terrorism march in Paris on Sunday, as world leaders paid tribute to the memory of 17 people killed in terror attacks last week. "[Erdogan] said that Israel should not have been represented in the march in Paris, and the reason he gave, was our actions to defend our citizens against the thousands of rockets hurled at our cities by the terrorists of Hamas," Netanyahu added. 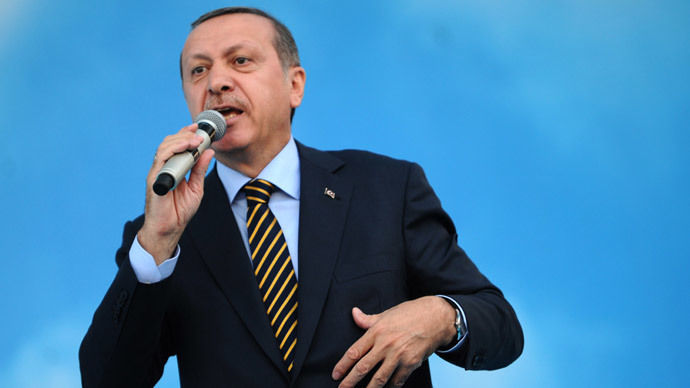 Erdogan’s comments on Monday echoed across the media landscape when he said that he could "hardly understand how [Netanyahu] dared to go" to the massive march in the French capital. Speaking at a press conference with Palestinian President Mahmud Abbas, Erdogan urged Netanyahu to "give an account for the children, women [he] massacred" as the Turkish president accused the Jewish leader of "state terrorism" against Palestinians. 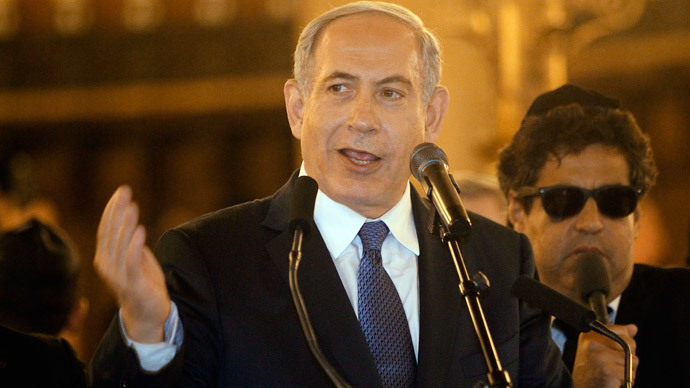 Netanyahu was reportedly advised against traveling to Paris for the major event by French President Francois Hollande’s office, as the French leader, according to Haaretz and Channel 2, apparently feared the Israeli PM could bring up some controversial issues – like Jewish-Muslim relations or the Israeli-Palestinian conflict – instead of simply showing solidarity. 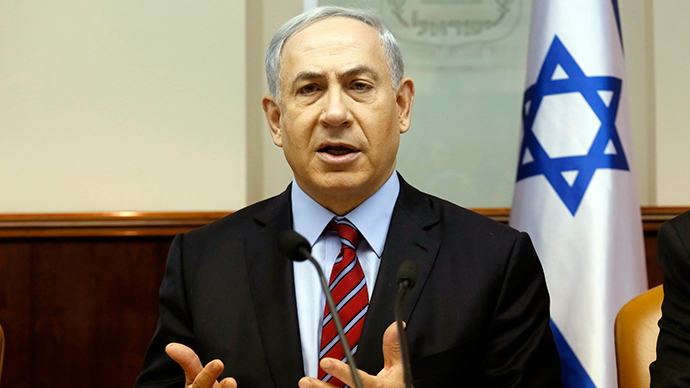 A similar caution was allegedly sent to Palestinian President Mahmoud Abbas. “Civilized, politically correct Europe's silence over an anti-Semitic, neighborhood bully like Erdogan and his gang takes us back to the 1930s,” said FM Avigdor Lieberman. "We have to tell the truth and speak plainly, put it on the table." Commenting on a spade of recent terrorist attacks in France, Lieberman lashed out against the EU's stance which, in his view, downplays the anti-Semitic element in the atrocities. "In the world and in Europe, most of the discussion was about freedom of expression, extremism and Islamophobia," he said. "But the Jewish and anti-Semitic aspects were hardly mentioned and this is particularly grave." Relations between Israel and Turkey hit a low note when Erdogan began heading the Turkish government. However, relations most notably deteriorated after the 2008–09 Gaza War and the 2010 Gaza flotilla raid, in which eight Turkish nationals were killed as the ship tried to penetrate the Israeli blockade of Gaza. In March 2013, Israel apologized for the incident. Turkey has been leading a barrage of criticism against Israel since the latest 50-day IDF campaign in the Gaza Strip.